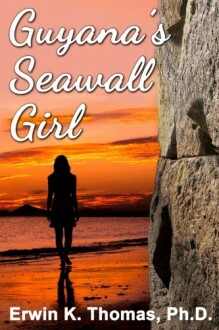 This biographical novel Guyana’s Seawall Girl paints a picture of love which triumphant for three Guyanese nationals. In the 1950s to 1980s this story occurs against the backdrop of the Republic of Guyana, the West Indian Islands, and America. It tells about Kevin Thompson and his relationship with two women. One of these was Gwen Philips who was on a roller coaster ride. She has had affairs with different men, notably a professor at the University of Guyana (UG), and with Kevin. Gwen, who lived under the watchful eyes of her parents, and with Billy and Nora as their mutual friends, determination paid off when she ended up leaving Guyana’s shores to further her studies in America.